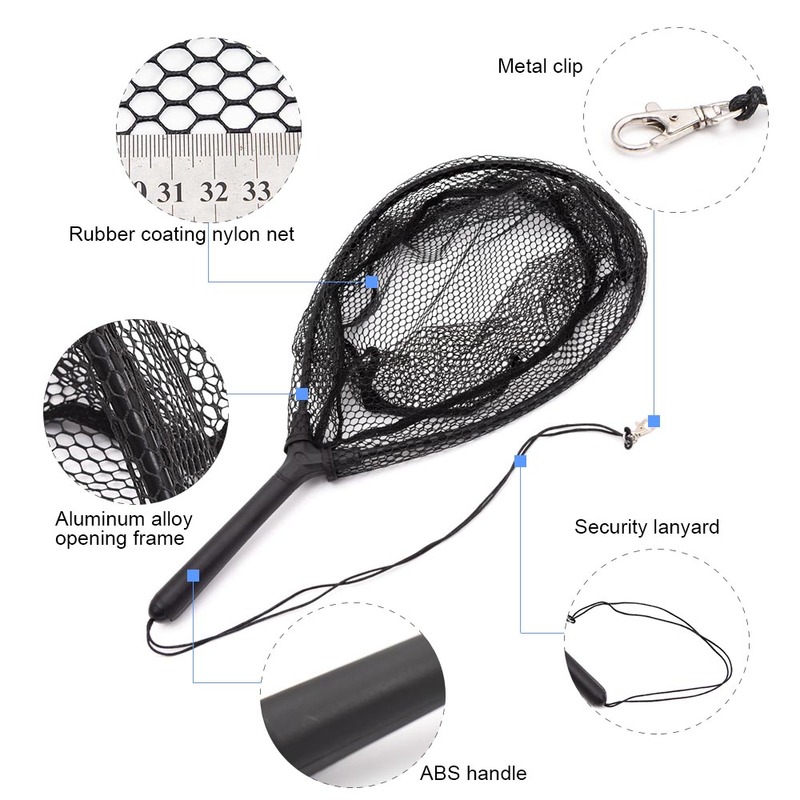 Nylon fishing net with ABS handle and aluminum alloy frame, sturdy and durable to use. Good for fly fishing. ABS handle, comfortable to hold. Aluminum alloy opening frame, solid and durable. Rubber coating nylon net, intensive and deep enough.